Let's take a look at the best PC game deals this week. We've examined some of the latest releases that PC gamers have been waiting ages to get their hands on and one older title that's making a late season comeback. With the World Cup getting ever closer, we're still loving our football action here in the UK and Football Manager's appearance in the charts again shows how we need something to fill the gap at the end of the season. Looking for something with a bit more action than grinding out 0-0 draws in the Championship? Then you may want to take a look at this weeks' other hot games. Like the zombie survival shenanigans of State of Decay 2. Or maybe you're finally ready to take the plunge on Conan Exiles now the game's out of early access? Take a look below for more details on each, along with a comparison chart for the cheapest prices the net has to offer. We're pretty sure they're cheaper than the standard prices you'll find over on Steam. Champions League aside, the curtain has fallen on another season of domestic footy action. And we're guessing there are plenty of fans out there not quite happy with how their season turned out as Football Manager 2018 has seen a spike in sales. So if you fancy giving your team another shot at the 2017/2018 season, this is the way to go. Might as well enjoy a bit more football before England's inevitable collapse next month. The Walking Dead TV show might be begging to be put out of our misery, but there's still plenty of appetite for zombies in gaming apparently. State of Decay 2 follows on from the 2013 original, with a similar premise that while perhaps not making any new fans, will give existing ones plenty to enjoy. So if survival games with crafting and a new community spirit are your thing, then sign up via one of the latest deals below. Oh and you get to kill zombies with machetes and guns, because not everyone's forgotten that's what why we were all interested in the first place, AMC. 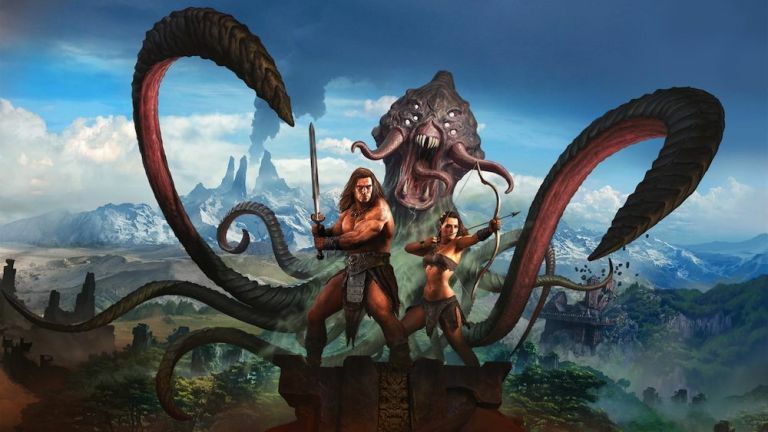 Conan Exiles is finally out of early access and was recently given a full release. Famed for epic fantasy landscapes, swords, sorcery and dong sliders in equal measure, Conan Exiles is a seriously in-depth survival RPG. It's still a little rough around the edges in all honesty, but we're sure the devs will continue to smooth those edges down and support the game given how much effort has already gone into crafting this new Cimmerian adventure. Looking for more games? Check out our picks for the best PC games.